Carnival Cruise Line knows the best way to sell Carnival is to experience Carnival, and in 2019 travel advisors will have more ways than ever before to Choose Fun for their clients. 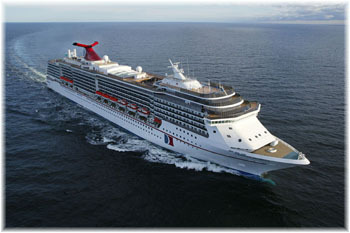 With the debut of Carnival Sunrise just a few weeks away, Carnival Cruise Line has announced the senior leadership team for the totally transformed vessel, which will operate a diverse inaugural schedule of four- to 14-day cruises from Norfolk, Va., New York and Port Canaveral, Fla., beginning April 29, 2019. In celebration of Valentine’s Day, Carnival Cruise Line is hosting the biggest Vow Renewal At Sea, with more than 1,000 couples expected to say “I do” in evening festivities across its fleet. The Michaels Companies, Inc. announced a new partnership with Carnival Cruise Line as the exclusive arts and crafts provider fleet-wide for guests sailing on the line’s 26-ship fleet. The Carnival Cruise Line Hub App is already the most popular consumer app in the cruise industry, and with enhancements announced today, it’s sure to only grow in popularity with the launch of pre-cruise purchasing functionality and online check-in for its North American-based ships. Carnival Cruise Line’s Mardi Gras – already creating buzz among cruise fans – is now open for sale of its inaugural schedule for 2020. Mardi Gras will offer a diverse schedule with six- to 15-day sailings visiting top destinations throughout Europe and the Caribbean beginning in summer 2020.